I am an entrepreneur with a technical background wanting to get into edtech because I love building meaningful companies. My fear is that I have no education background though. How important do you think it is that I hire an educator early on? To answer this question I asked Jim Lobdell, co-founder of TCI and Venture Partner at Reach Capital, for his opinion. As a founder of a very successful education publisher and as a former educator himself, Jim is the best person to answer this interesting question. Read his answer below! This is a critical question for a new edtech entrepreneur. A colleague once asked me how we achieved product-market fit so quickly when I co-founded Teachers’ Curriculum Institute (TCI), the creators of the History Alive! program. I flippantly replied, “Because we knew our product would fit the market”. But the truth is, my co-founder and I knew our initial product would work because we were classroom teachers who essentially codified the curriculum and instructional strategies that worked well with diverse students in our own classrooms. We also understood that more than anything else, social studies teachers needed powerful teaching tools to reach diverse learners because textbooks and worksheets weren’t cutting it. We know our customers because we were them. And as a bootstrapped business, we had no runway. Our products had to work right out of the gate if we were to survive. Over time, every TCI product team was anchored by a “brain trust” of frontline teachers –teachers who took a year’s leave of absence or contracted as consultants after school and in the summer. Our brain trusts knew every nook and cranny of their grade level and subject area and knew what teachers in their shoes needed to make history come alive. As a result, when we released a product, we were confident it was A level, and we knew subsequent iterations would take it to an A+ level and beyond. The reliable “Wow!” factor of our products created legions of zealous users and propelled TCI into a high growth, high margin financial juggernaut. I developed my last product at TCI more than a decade ago, before edtech was much of a thing. Certainly a lot has changed in the education landscape since then. But what hasn’t changed is the need for the educator voice to be front and center on any product team to achieve the tightest product-market fit. Unfortunately, I don’t see this happening enough in edtech. Too often, products are a lot tech and not much ed. 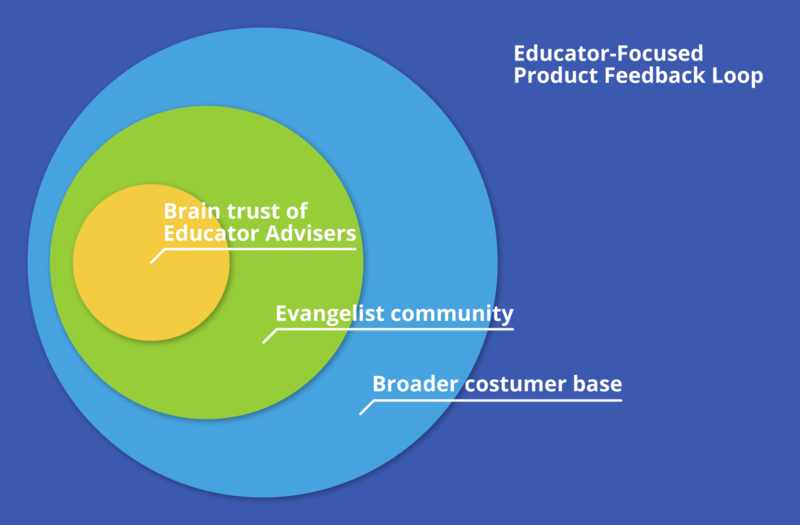 For reasons that still leave me scratching my head, educators are often on the periphery of product teams. I see this most often when founders are technologists first, more attuned to and comfortable with engineers than educators. I also see this when founders create tech products that tap the vein of an emerging trend – think Personalized Learning, SEL, or AI –and end up creating a solution in search of problem. That was a chilling, bad answer, but not anomalous – frontline educators are absent from the core product team in many edtech companies. Instead, teams faithfully follow Lean Startup principles, dutifully incorporate customer feedback loops, and iterate over time. With enough runway and lots of iterations, the best product teams eventually can find product-market fit. But finding product-market fit doesn’t have to be that vexing or time-consuming. I believe you can dramatically reduce the time and number of iterations needed to reach product-market fit – be it for a new product or new features within an existing product – simply by having a small number of savvy frontline educators at the center of the product development team as advisors. This doesn’t mean abandoning Lean Startup principles, it means supercharging them. This is easiest when a founder is a frontline educator who can sniff out like-minded, talented educators as product collaborators. Typically, a team like this can nail product-market fit quickly for a very simple reason: they are close to the classroom. TCI, Mystery Science, NoRedInk, Gradescope, BreakoutEDU, and Tinkergarten, all founded by educators with deep classroom experience, exemplify this. Product iterations for companies like these become the whipped cream and cherries on top. But for most companies, hiring a “brain trust” of 3 to 5 frontline educators as hourly consultants (unless you find an indispensable gem who you want to hire on a more regular basis) requires an upfront investment in time and modest resources. It actually slows down the product development process initially – an anathema to the credo of Silicon Valley, I know – but slowing down to go fast” pays big dividends in the long haul. If you get the right brain trust in place, you have the internal firepower –in the form of quick-hitting, insightful input from advisers who know customer realities inside and out and who mitigate your blind spots – to build a product or feature that requires fewer iterations. Under this structure, think of your product feedback loop in concentric circles: your brain trust of educator advisers at the center, your evangelist community in the next ring, and your broader customer base at a third level. The brain trust works with the core product team to shape the product or features from conception, review wireframes, pilot the product, and bring the team into their classroom (live or via video) to watch users in action. Tap evangelists to give input on or pilot new ideas to get a broader set of inputs from different contexts. And continue to monitor usage and engagement among your customers and iterate accordingly, just as you ordinarily would. Create a compelling, mission-focused job post. 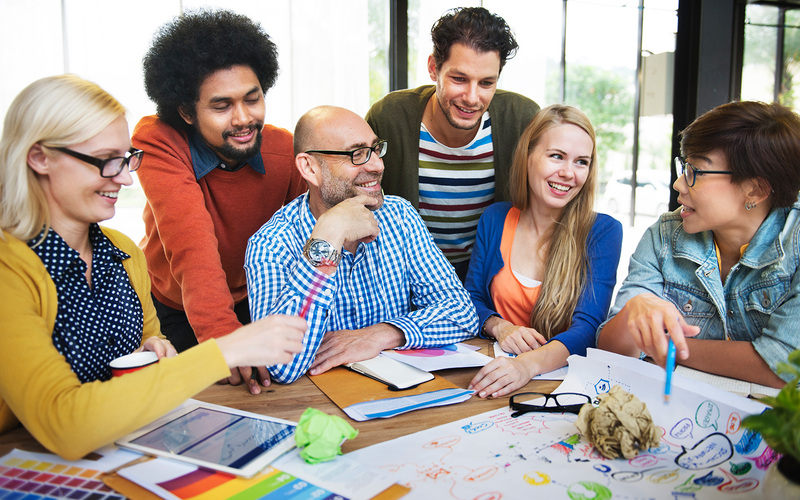 There are scores of talented educators – including early, fervent users – toiling in dysfunctional schools or departments eager to be part of a high-functioning, purpose-driven organization, and all the better if they can make a few bucks on the side. Emphasize the mission and impact pieces because that’s what’ll resonate most for educators. Focus screening on whether educators can abstract beyond their own classroom or school so you’re confident that they can represent the needs of mainstream educators. As a final screen, create an authentic performance task that mirrors what members of the brain trust would ultimately do as part of the product team. Then have a “bake off” among your top candidates, so you get an apples-to-apples comparison of what they deliver. With the right performance task, it’ll become clear who your winners are. Once you’re ready to hire, make expectations around the scope of work, time commitment, and response times very clear. These kinds of expectations may be new to educators used to school cultures in which loose execution and inefficient meetings are the norm. Make the contract time-bound. Some educators tend to over commit, so this allows you to cut the cord if someone isn’t delivering. Identifying the right frontline educators to bring to the center of your product development process isn’t rocket science. It just requires an understanding that you can achieve product-market fit much quicker by working smarter. ← What are the possibilities for AI in Education?